A consistent and scalable global approach is required to address key brand safety challenges and criminal activity in digital advertising. There are opportunities to reflect the needs of national markets by deploying a ‘global standards for local markets’ approach. Several existing industry programmes – including those in the UK, France and the USA – are being expanded and connected to tackle global challenges. The Trustworthy Accountability Group (TAG), an advertising industry initiative aimed at fighting criminal activity in the digital advertising supply chain, today published a White Paper – “Global Standards for Local Markets: A Roadmap for Establishing Global Harmonization in Digital Advertising Standards” – highlighting the need for consistent and scalable global standards to tackle cross-border industry challenges, such as brand safety and fraud, whilst leveraging the needs and expertise of national markets. 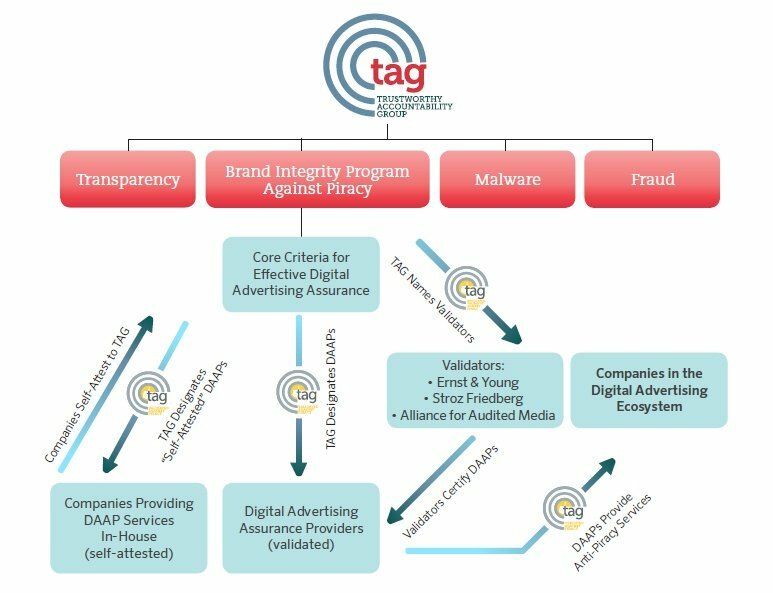 The Trustworthy Accountability Group (TAG) is the leading global certification programme fighting criminal activity and increasing trust in the digital advertising industry. Created by the digital advertising industry’s leading US trade organizations, TAG’s mission is to eliminate fraudulent traffic, combat malware, prevent internet piracy, and promote greater transparency in digital advertising. TAG advances those initiatives by bringing companies across the digital advertising supply chain together to set the highest standards. TAG is the first and only registered Information Sharing and Analysis Organization (ISAO) for the digital advertising industry. For more information on TAG, please visit www.tagtoday.net.